An extension from the project A Year In Review, Memorial gathers local newspaper covers of the year 2004. They were photographed, framed and hanged on a pegboard. 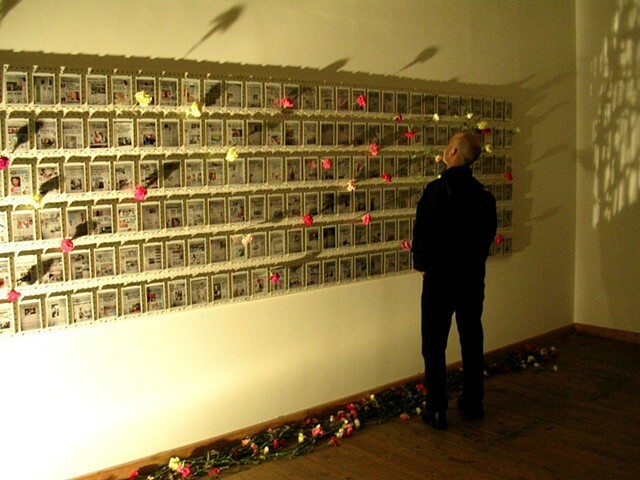 Guests were invited to place carnations next to their favorite memories.